If you thought Virtual Reality was still confined to Sci-Fi movies, I’ve got great news for you – the Virtual Reality (VR) Headset is here and available at affordable prices! 2016 marks the launch of PlayStation VR, HTC Vive and Oculus Rift mainstream virtual reality headsets. 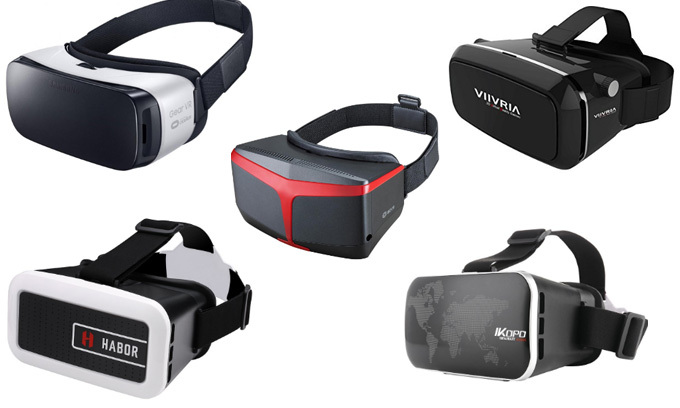 The virtual reality revolution has started and that means the Best Virtual Reality (VR) Headsets providing a totally immersive experience of games, movies and educational trips i.e. through the planetary system! Virtual Reality also allows you to enter a three-dimensional world where your head movements are tracked to influence the game. Whether you choose a headset from Oculus, HTC, Google, Sony or Samsung, you need a smartphone, a computer or a games console to play games. You also need a display screen and input to connect head-tracking, hand-tracking, controllers etc. The PlayStation VR and the Oculus Rift are head-mounted displays, (HMD’s). Video comes from a P.C. or games console to Virtual Reality (VR) headsets through an HDMI cable for Rift and HTC Vive. 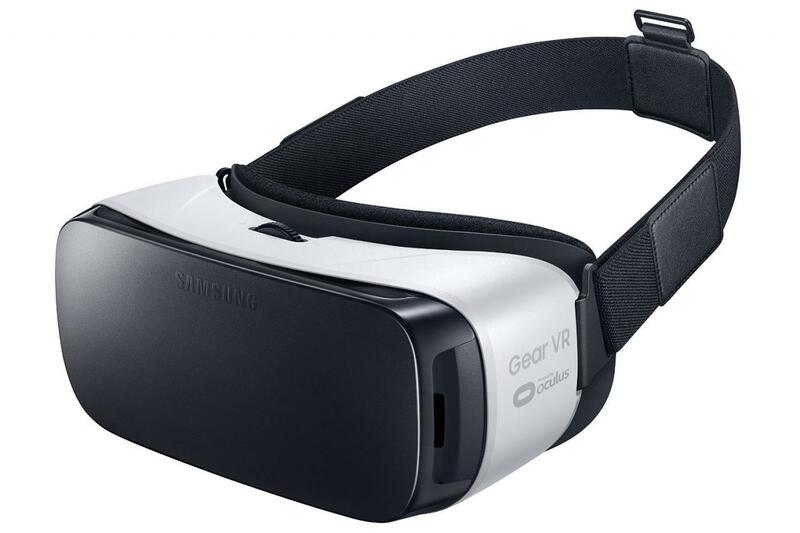 But Samsung Gear VR and Google Cardboard already have the connector on the smartphone, which you slot into the headset. 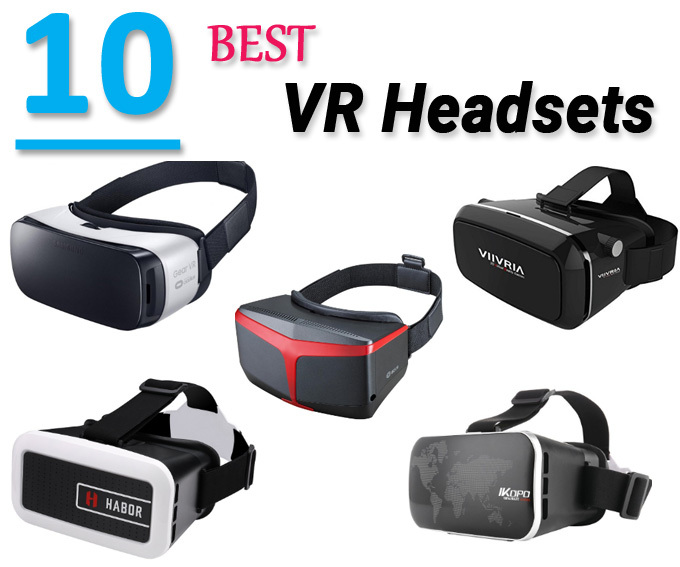 This is a ‘must-have’ product already, so we’ve reviewed the Top 10 Best Virtual Reality (VR) Headsets to get you started on an amazing, new technological adventure! 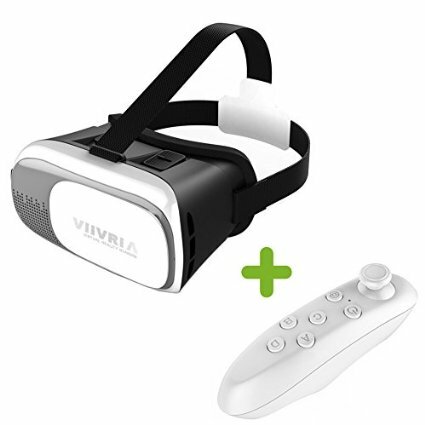 Reviews of VR headset: This comes in a package containing the latest Super Version 3D Video Glasses and one Wireless Controller. The visual angle is 100% and image definition 99%, with a lens size of 42 mm. This model supports 3-D side-by-side video and there’s an adjustable distance between cell phone and lens, so you can adjust it to fit different users. Totally wireless and you don’t need to buy any software, as processors are already built-in to most Android and IOS phones. Works with 90% of the smartphones and creates a simulated big screen ‘view’ of up to 3 meters. This is on our list of the 10 best virtual reality (VR) headsets for several user-friendly reasons. It takes comfort seriously as gamers will be using VR for hours at a time and has a thick, soft, face cushion that also easy to clean after each session. The dual-lens adjustment allows precise control of the lens position, so you get the best view for your individual eyes. The phone-tray adjusts to accept most smartphones and there’s a cooling vent for your phone, too. You can also access your camera for Augmented Reality apps via a removable magnetic front panel. The KIX has 360º head movement tracking and a 3D split-screen plus it’s comfortable in use. You can buy this VR headset on the market! With an attractive aesthetic, this model comes with 2 adjustable spherical lenses so you can adjust the focus by moving a button on the VR glasses. This means that those who wear glasses for myopia/short-sightedness (under 600º) can remove them and enjoy 3D VR in comfort. This model has durable and adjustable T-shape straps so both kids and adults can get a good fit. Can be used with Android and IOS phones, but it’s important to note that this device doesn’t work with Google Cardboard App, so iPhone 6/6 users need to visit the Apple App Store and Google Play Store. 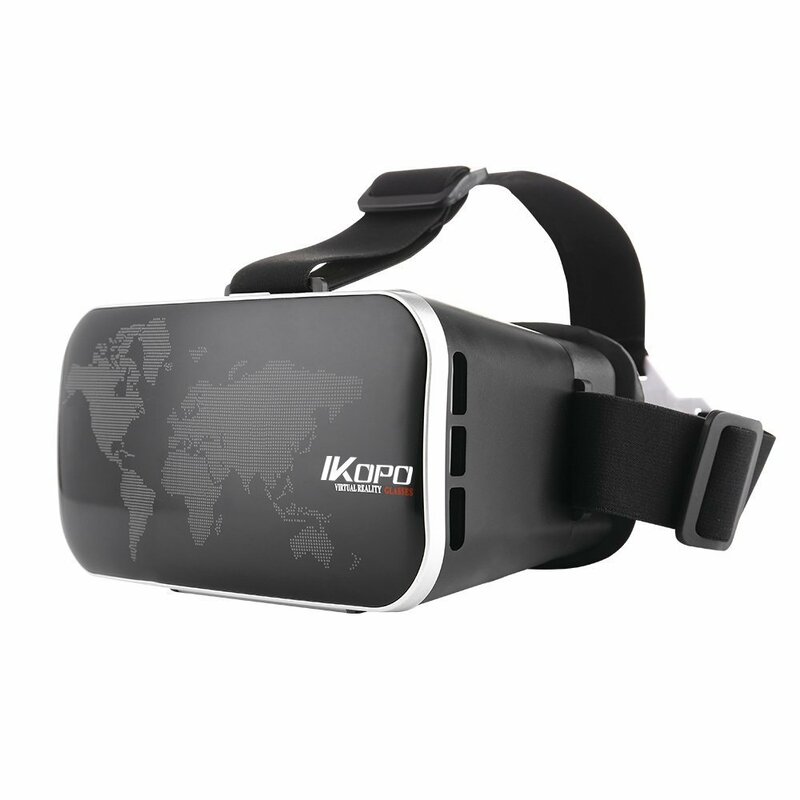 When using the IKOPO virtual reality glasses for the first time, you can choose different EVA mat thickness, EVA block and elastic sponge pad. Users praise it for being lightweight, comfortable and adjustable to fit different users. This model can be used with most smartphones, including the iPhone 6 and you may have to download a VR app to use it. 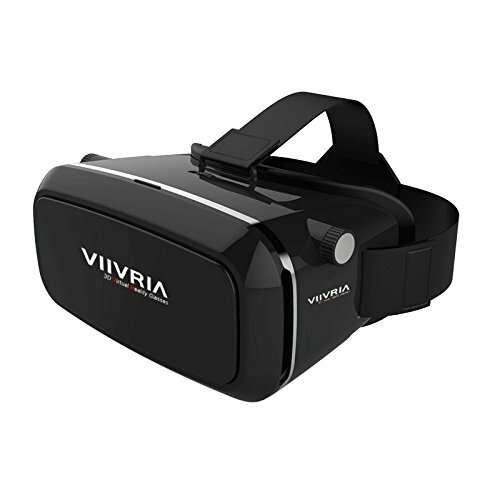 This is a very popular VR headset and users recommend it as the best virtual reality headset for budget gamers. Reviewers say it has good visuals and you can use it to watch any type of films on the internet. This model takes a little time to set up, but reviewers say it’s worth the time as this design keeps the mobile firmly held in place. There are three different sets of lenses with this VR headset, instead of having an adjustable lens, so you can try all of them out to see which gives you the best viewing experience. In addition, there are Fresnel Lenses in this unit, giving the perception of a wider field of view than you get with standard optics. This is another of the best virtual reality (VR) headsets for people with myopia and astigmatism within a specified limit. Atill VR headset review: The adjustable T-shaped headband is made of a very lightweight material, to decrease pressure around the eyes and keep your gaming/viewing experience comfortable. You can adjust the pupil and object distances easily and it is designed for people with normal vision, or myopia that’s less than 600º. It fits with iPhone, Android and Windows phone series with a screen size between 3.5 and 6.0 inches and comes with a stylus. Good image quality with light but sturdy plastic body that feels secure on your face and a good quality product. This one of the best virtual reality (VR) headsets for all of the usual reasons, plus it’s easy to set-up. 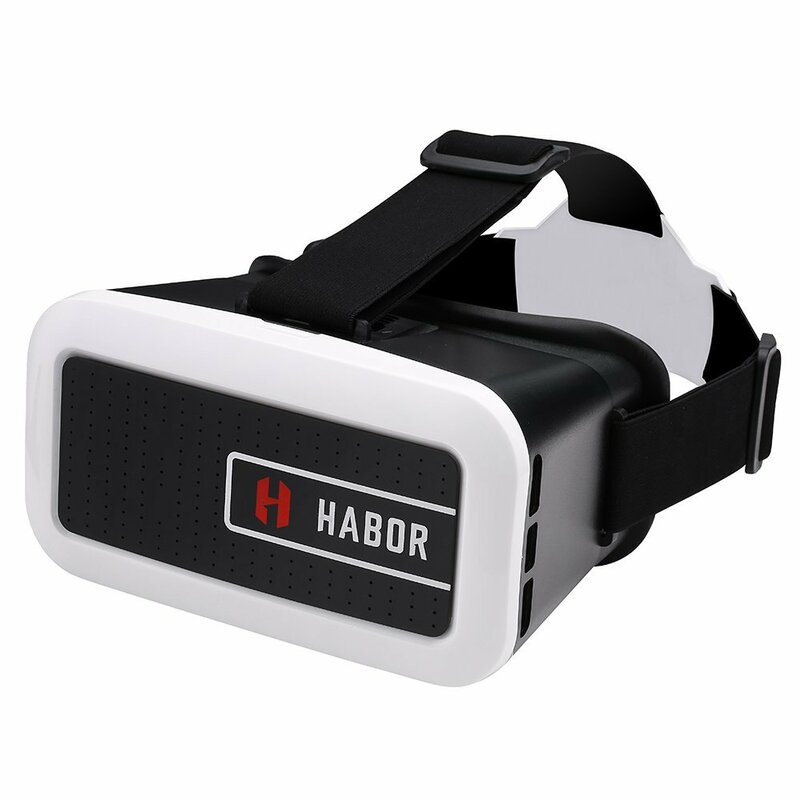 Best VR headset for Iphone 6. In order to get the optimum clear view, you should choose ‘Split-Screen Mode’ from 3D VR content in specific apps downloaded from Apple or Google Play stores. This is one of the best virtual reality (VR) headsets for a ‘premium’ look with comfort and hygiene from the Leather Face, instead of the usual foam-sponge face. The leather gives a more elastic fit and doesn’t absorb perspiration, so cleaning is not such an issue as with other models. You can use most smartphones up to and including the iPhone 6/6s and if the phone’s bigger than 5” just remove the EVA mat. We’re into the top 3 best virtual reality (VR) headsets now and you can expect more features in these models. 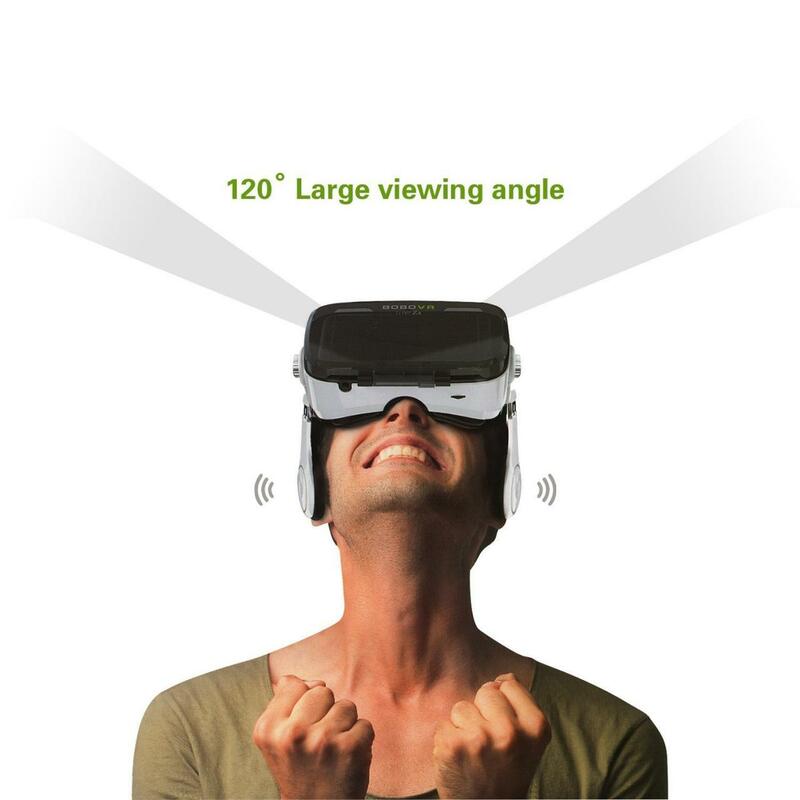 This unit has an adjustable earphone in the 3D glasses adding to your sensory enjoyment of games and panoramic movies. There’s a touch-screen function and a useful anti-fog lens, making your viewing comfortable in winter or humid conditions. The view offers a 1000 inch ‘big screen’ at a distance of 3 metres experience and the lenses are made of spherical resin, without plastic, making them eco-friendly. 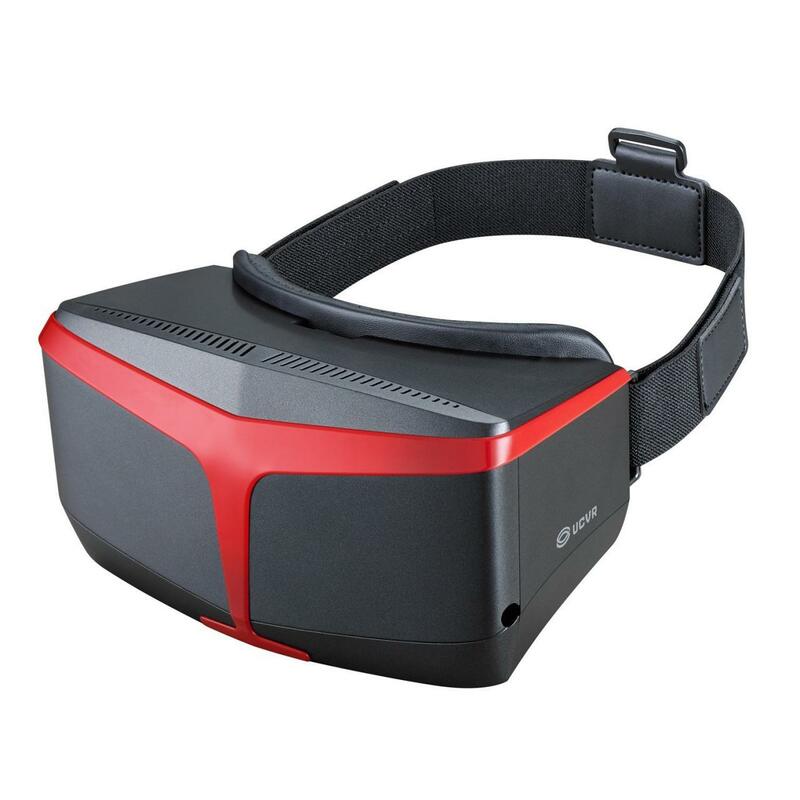 Good value as this unit is currently not much more expensive than the average VR headset. Best VR headset for movies! This model offers an adjustable zoom in and out function and has a special design feature for myopic users. The side sponge is left blank to accommodate ear-stems, so you can use this VR headset whilst wearing your prescription glasses to get an excellent 3D view. The unit is large enough to accommodate smartphones sized 3.5” – 6.0”. 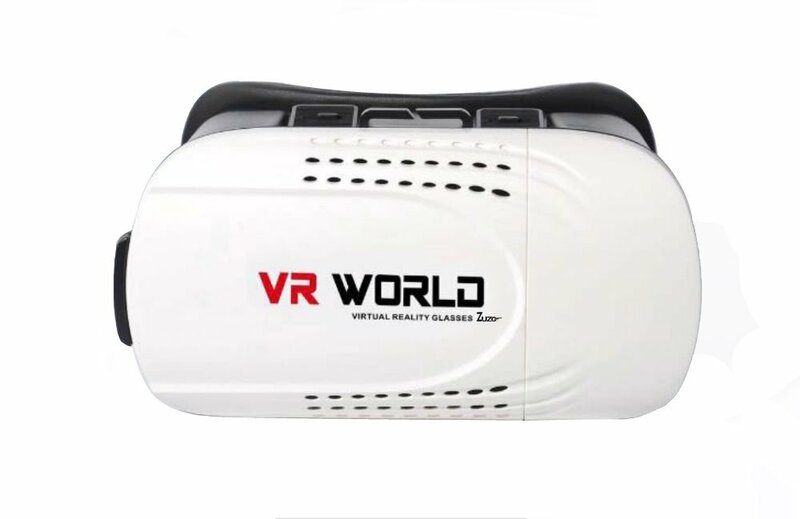 This is an updated VR headset, so any earlier problems will have been removed, leaving a better product and you can even charge your phone whilst using the headset! This is the best virtual reality (VR) headset to use whilst wearing glasses that correct short-sight. Easy to set-up and use, (with a separate purchase of Samsung Controller), users loved the feeling of being ‘tele-ported instantly to other worlds’. Constant video quality is assured if you download, rather than streaming all the time. The visual quality is great and there’s an easy touch pad function and room enough for it to be worn comfortably with spectacles. The field of view is ‘wide’ and head-tracking gives precise results in VR space. This is our No. 1 Best Virtual Reality Headset for use with Samsung Galaxy S7, S7 Edge, Note 5, S6 Edge and S6 Edge Plus and comes with a solid One Year Warranty! awesome list very helpful a lot to choose from.